Safety should always be top of mind in the homebuilding and commercial construction industry, which is why all responsible builders take safety training for their mobile workforce very seriously. But workers aren’t the only ones at risk on the job site. Homeowners can get injured too. There’s nothing worse for a construction project manager than seeing a client get hurt as part of the project they’re paying for. Fortunately, there are a number of steps you can take to reduce this risk. When you’re dealing with home construction or any other project where the client is offsite, it's best to keep them away from the site unless they’re supervised. There’s no reason for a customer to be onsite without being escorted by a member of the construction team. Even responsible people might do something that could put themselves or the project itself at risk. Make it clear to customers from the get-go that you would prefer that they stay away from the work site, unless they are accompanied by you or another designated crew member. You can deliver this information both politely and matter-of-factly. Emphasize that it’s a universal policy applied to all clients and all projects, and it has nothing to do with whether you trust a particular person to take care of themselves. Most people will understand that it’s simply best practice. When customers do visit, try not to let them wander on their own to another part of the site. Just like workers, homeowners vary a great deal when it comes to caution and common sense, so you want to make sure that you’re nearby – in case, for example, they unknowingly lean against a beam that probably can’t support them. In addition to enhanced safety, guided tours provide better customer service, allowing you to explain the progress of the project to the client, which helps establish greater trust in you and makes it more likely that the client will report high satisfaction with the completed project. Given the goal of workforce management is to keep your customers safe and happy, the very best way to protect them is to ensure that your mobile workforce is doing everything possible to keep the job site secure. Although seasoned workers generally take safety seriously, they may not always appreciate the risks that a construction site poses to those who aren’t experts. One of the most important things you can do is establish high expectations when it comes to debris clean-up. Keeping a job site clean is about more than just safety. Homeowners don’t want to live around a mess for weeks or months at a time. The cleaner the site, the more organized it makes your firm appear. And a clean site is generally a safer site, making it less likely that an unsuspecting homeowner might step on a stray nail during their kitchen remodel. You also need to give all workers a simple checklist that details strict instructions regarding clients. They need to understand that they are responsible for keeping clients and their family members safe during construction. The challenge is that many employees may be uncomfortable telling a customer to leave a work site, particularly in light of cultural or language barriers. If you emphasize the point and provide clear guidance on how to politely ask customers to stay away from a particular area, workers will be able to approach client interactions with greater confidence. Establishing effective communications channels with clients is key to ensuring that everybody understands where they’re supposed to be and what they should be accomplishing. 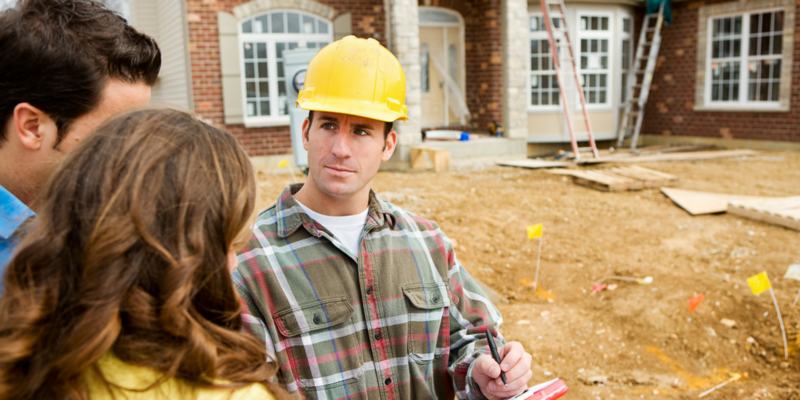 Give homeowners explicit instructions on how to get in touch with you or another member of your team if they want to get onto the job site or if they have any other questions. The benefits of such policies go beyond customer safety; you want your customers to know what to do if they think something has gone wrong at the site (for example, something has fallen, etc). How should the homeowner reach you? A good bet might be to request emails or texts for non-urgent questions and phone calls for emergencies. Client communication is also one of the benefits of implementing project management software, where managers, workers and clients can easily exchange quick messages through a group chat app. Timesheet Mobile’s own mobile workforce management app also allows employees and clients to start a to do list so that everybody can stay up-to-date with what tasks have been completed. Since they’re paying for the project, it’s reasonable for customers to expect to check up on its progress from time to time if they’re not living onsite. But it’s also reasonable that they give you a heads up before they drop in on the work site. The policy only works if you are willing and able to respond quickly to your client. For instance, if you’re confident that you can reply to text messages almost immediately and that you or another supervisor will always be in close proximity to the job site, it makes sense to have clients alert you to their visit a half hour ahead of time. If you can’t guarantee that quick response, then you should ask for a bigger window of time. Finally, some days are higher-risk than others for visitors. Encourage homeowners to come when workers aren’t engaged in the most intense or dangerous tasks. Plan ahead with your supervisors, perhaps through your staff scheduling software, to arrange for guided visits. Include safety provisions in the project contract with the property owner. The language should specify the precautions that you and the client will take to avoid accidents, including the safety gear they’ll wear on the site (hard hat, closed-toe shoes, goggles) and their willingness to follow instructions from you and your employees. Having a clear contract and taking the time to explain it to each client up front will ensure that you're spending time on their project, rather than on reviewing your policies throughout the course of the build. As a result, your workers will be less distracted and more productive, and with your business at a lower risk for accidents, your clients will be safer and happier.